Finecast combines the power of TV with the precision of Digital, connecting brands with targeted consumers on the big screen. 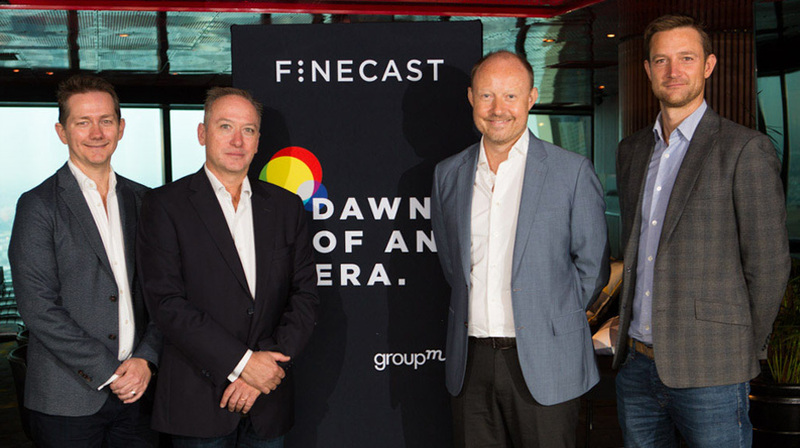 Sydney, Monday 15 October 2018 - GroupM, the media investment group of WPP, today announced the Australian launch of its new Addressable TV business, Finecast. Finecast offers the power of television with the precision of digital, allowing advertisers to target viewers across multiple on demand, set top box and live streaming TV environments. Australia is the second market launch for Finecast, following its successful UK debut a year ago. In the UK, Finecast has attracted advertisers across categories including automotive, retail, banking, FMCG and beyond, with close to 100% of clients pleased with their measured results and return on investment. “Watching TV has never been as good as it is now, but as viewing behaviours evolve and audiences fragment across platforms, advertisers are grappling with how to continue making the best use of one of their most trusted mediums. The collaboration between Finecast and broadcasters uses data to provide more relevant ads within professionally created content. It’s a win for everyone – advertisers, media owners and consumers,” said Jakob Nielsen, Global CEO, Finecast. A recent research report Finecast conducted with 3rd party provider IHS Markit projected that 14 million addressable-capable TV devices will be in Australian homes within 2 years, setting the stage for industry momentum with addressable TV. To seize the opportunity, Finecast is facilitating collaboration across the TV ecosystem. With broadcast partners Seven, Nine, Ten, SBS and Foxtel via Multi Channel Network (MCN), Finecast built a targeted TV inventory pool reaching Australian households at scale - across TV channel brands, Pay-TV platforms and digital media players, a range of broadcast video on demand (BVOD) services, over-the-top providers, and games consoles. Finecast is live and already running campaigns as part of a pre-launch pilot programme. From today it is open to all advertisers large and small. In conjunction with the launch, Brett Poole is named Finecast’s Managing Director in Australia. Poole was previously [m]PLATFORM’s VP of Media and Activation and previously the General Manager of Plista, GroupM’s native advertising business. GroupM is pleased to be working with major Australian broadcast partners Seven, Nine, Ten, SBS and Foxtel via Multi Channel Network (MCN) to enable the launch of Finecast in Australia. Finecast is a leading addressable TV company which enables advertisers to precision target audiences in on demand, linear and live streaming TV environments. Finecast gives advertisers the ability to deliver targeted adverts to audiences across multiple TV channel brands, pay-TV platforms and set top boxes, a range of Broadcast video on demand (BVOD) services, over-the-top providers, and game consoles – all combined for scale. Finecast offers a single access point to optimise delivery across the entire addressable TV marketplace. Finecast has access to more than 1200 data variables for planning against Australian Households, Finecast can identify and reach precise audience profiles on the big screen. Finecast is part of GroupM, the media investment group of WPP.